SCVCS is now accepting enrollments for the 2017-2018 school year. events can be found at http://scvcs.k12.com/. 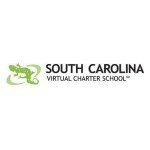 information about SCVCS, visit http://scvcs.k12.com.